When a company starts using SaaS service and the storage media on the cloud (Office 365, G-Suite etc.,), the security of information becomes a problem at the same time. The key to solve the problem is to view the security of cloud applications as part of the internal affairs and extend the data leakage protection from the company to the cloud. 1.First, the company may assess if the internal security system can meet the internal security requirements. TrustView provides Document DRM file encryption and Area DLP virtual disc isolation security to deal with detailed document rights management and the security of the CAD files or source codes for the R&D department. 2.Secondly, the company may find out if a CASB cloud security system is available. TrustView CASB provides a solution with three integrated elements of Access, Log and Protection. 3.Lastly, the company may combine the internal security system with CASB; for example, encryption of the files while they are uploaded to the cloud or storage of the downloaded files only in the virtual disc for isolation. The speaker currently works for the Technical Marketing Department of TrustView as a Product Manager. 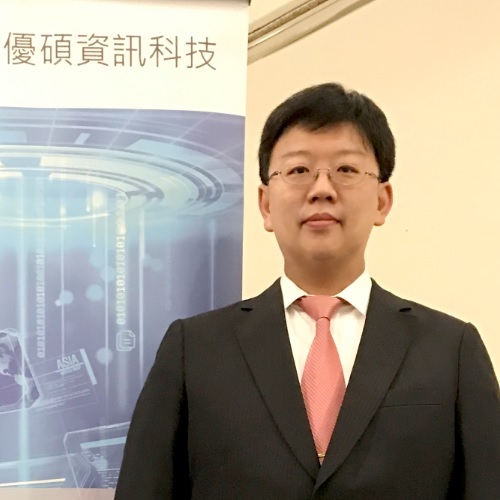 He has been on our team for over 10 years and is mainly responsible for filing technical and management proposals for protection of customer's confidential information and developing complete solutions that are helpful for the businesses and government agencies in Taiwan to protect their confidential documents and solve the data leakage problem effectively. He has been certified as a qualified chief inspector for ISO 27001 and has recently studied Cloud Security, CASB, and other data security technologies.